In the 1960s and 70s, Ridgefielders frequently encountered an elegant, elderly couple strolling the village sidewalks. Many thought they made a cute pair. Few recognized the man as a conductor of most of the world’s leading concert and opera orchestras. 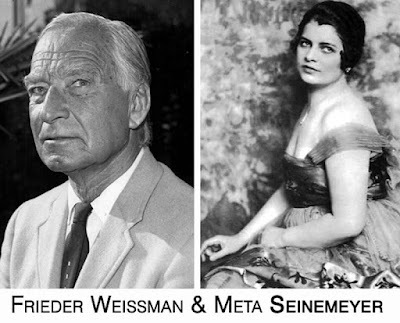 Over his long career, Frieder Weissmann once estimated, he had contributed to more than 4,000 classical music recordings, most of them in Germany in the 1920s. A native of Germany, Dr. Weissmann was born in 1893, studied at Heidelberg, Munich, Grenoble, and Geneva, and began his conducting career at the State Opera of Berlin while in his 20s. In 1932 and 1933, he was a guest conductor of the Berlin Philharmonic, which the likes of Brahms, Dvorak, Grieg, and Mahler had also led. During the next three decades, he conducted orchestras throughout North and South America, including almost every major American symphony orchestra. In this country he recorded for such labels as RCA Victor, Decca, Columbia, and Odeon. Many of his recordings are still being sold today. The Weissmanns came to Ridgefield around 1960, summering at The Elms Inn for nine years and then living full-time on Prospect Ridge. “It is the most secretly guarded, God-given talent which enables you to stand in front of 100 men and without a word, only with the movement of your eyes, evoke from them as from one person the utmost of expression of delight, of harshness, of piano, of forte, of anything that might be contained in human nature,” Dr. Weissmann said in a 1966 Ridgefield Press interview. He was “a person of style and quality so obvious it demanded respect,” said Peter Laurence Cooper, who worked at The Elms when Weissmann was a frequent customer. Dr. Weissmann continued to travel and conduct orchestras well into his 80s. “I’ll stop when I am dead,” he once said. Rose Weissmann died here in 1980, and is buried in Ridgebury Cemetery. Two years later, Frieder moved to Amsterdam, where he died in 1984 at the age of 91.